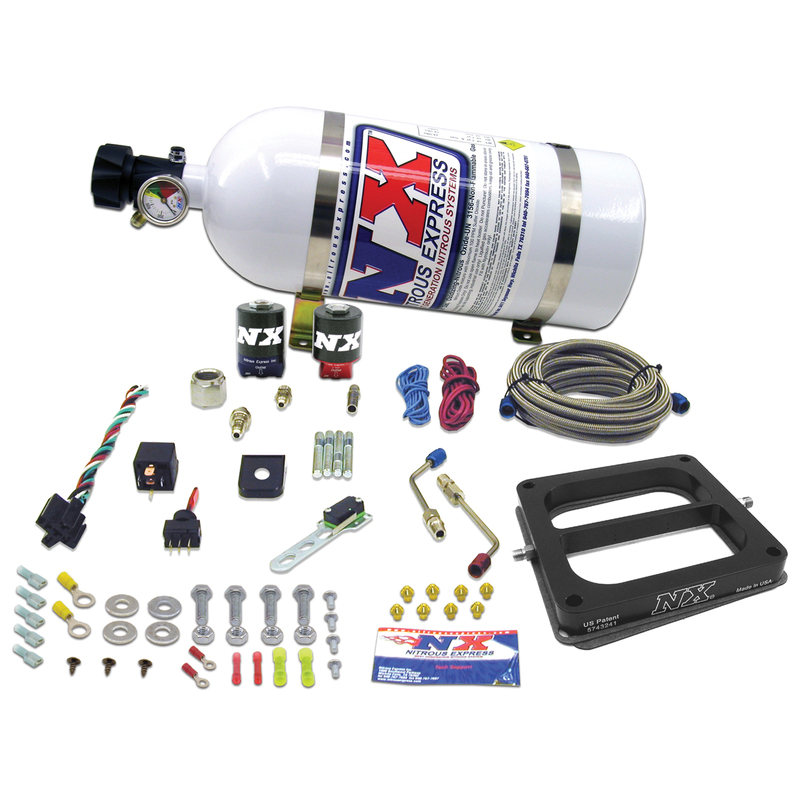 With the continued growth of the Top Dragster and Top Sportsman classes as well as regional and local quick-style bracket racing events nitrous systems have quickly became one of the more popular options for KillerRONS.COM customers. 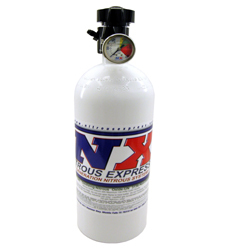 We offer systems from Nitrous Express designed specifically for use with your Terminator, Flying Toilet or alcohol carburetor. We have extensive knowledge and experience with these systems as James Monroe used a system just like the 50-300 HP Terminator kit below to win the 2010 NHRA D3 Top Dragster championship as well as claim the 2011 JEG'S All-Stars crown. Our "wet" systems utilize a small dedicated electric pump and regulator to deliver alcohol as the enrichment fuel. These systems are capable of enhancing an injected or carbureted engine's output by as much as 500 HP and are extremely safe for the engine due to alcohol's detonation resistance capabilities. We also can recommend and supply the necessary components for a light "dry" system that does not utilize enrichment fuel. You can read about this system at the bottom of this page. Traditionally at KillerRONS.COM we price our components in kit form so that you receive all of the parts you need the first time. This prevents costly additions with extra shipping upon subsequent orders. Please note that our kits include bottle gauges and purge kit (not shown in the photos). Every system needs these items and original manufacturers often leave them off of the kit to make the system more attractive financially. If you are interested in nitrous oxide please read over the below information and let us know what questions you have. 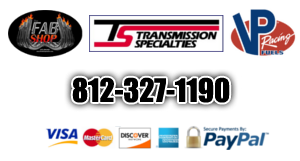 We have championship level experience with these ystems and are always glad to assist. The Flying Toilet/Alcohol Nitrous System with 10# bottle is pictured below. The Gemini Twin is the most technically advanced single stage plate ever designed. With no spray bars to sag, split or block airflow this is the perfect system for your Flying Toilet injection system. 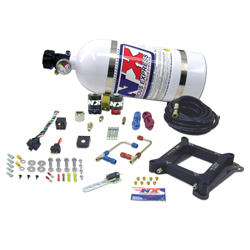 These systems includes jetting from 50 to 500 HP and include a nitrous solenoid and special "alcohol" solenoid, heavy duty 40 amp relay, stainless bottle brackets, and and a #6 race hose. The Terminator/Alcohol Nitrous System (pictured below) comes with 10# bottle and also includes jetting for as little as 50 HP to as much 500 HP. If you are planning on using nitrous for more than just a qualifying shot or two at an event you will need a spare bottle. We offer the same 10# bottle found in the above systems with pressure gauge for $315. For the alcohol enrichment demands of the above systems KillerRONS.COM recommends the Aeromotive brand fuel pumps and regulators shown. The Aeromotive pump #11203 features stainless steel vanes, is alcohol compatible, mounts easily and is perfect for nitrous enrichment. The Aeromotive regulator #13205 includes mounting bracket, is adjustable from 5 to 12 psi. The can be purchased from JEG'S High Performance or we can arrange a drop-shipment with the purchase of a complete nitrous kit. Call or email for current pricing of this option. 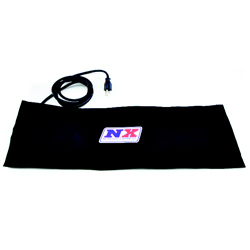 This system delivers nitrous through a single nozzle directly above your throttle body. KillerRONS.COM recommends using this system with alcohol injection only. It can be used for quick shots to change finish line position by a couple of hundredths. It can also be used more aggressively by richening your base fuel system before the pass. 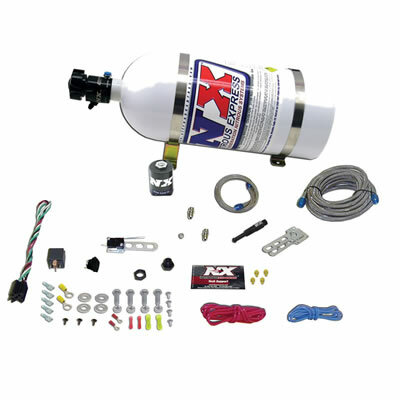 This "dry" system comes complete with a nozzle body, jets, nitrous solenoid, large ten pound bottle with lightning valve, WOT switch, bottle brackets, braided nitrous hose and necessary wiring.